There are 2 reviews of Vintage Naturals 2009 Geranium. This isn't exactly the geranium that I know, but it's maybe better so. It's like a bitter rose. Very strong to start with, but quite good when it fades a bit. Edit: Today I was at the botanical garden and smelled the leaves of scented-leave geranium. This is exactly it. Well done, Demeter ! New edit: today someone said “it smells like mosquito spray here”. Then, another one said “your perfume smells very good, what is it?” Both very positive and negative on the same day. I grow scented geraniums among my roses to ward off fungal diseases. They also help cover the the bases of my rose bushes with their dense growth of texured leaves. I pluck leaves and rub them between my hands to get that gorgeous tonic fragrance boost. 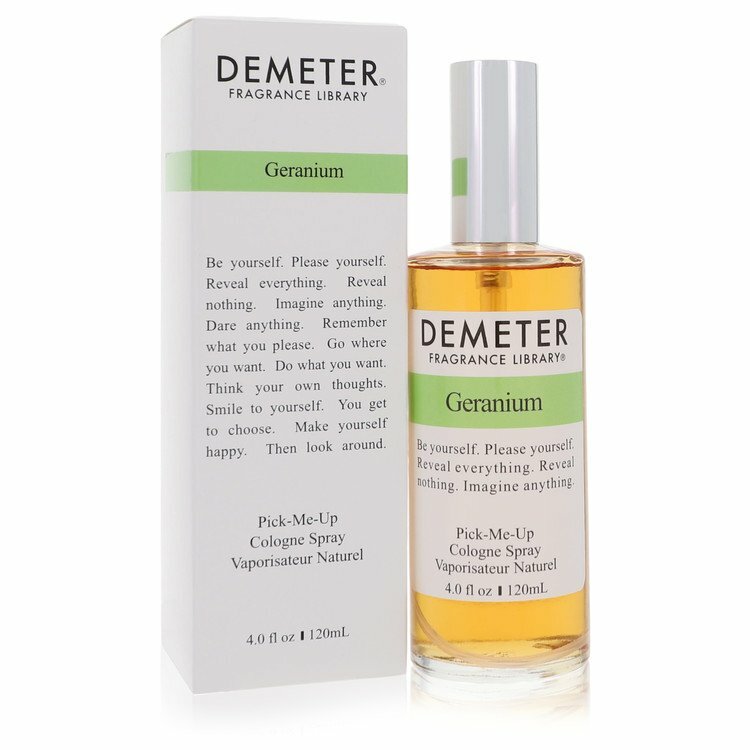 Now there is Vintage Naturals Geranium. It starts off strong and settles into a lemon geranium scent. It morphs into a rosy geranium and then mellows to a true geranium. There are many different geranium plants from apple, mint, even chocolate for the garden. Demeter has designed this fragrance to grab the three nicest ones as I described. It also does an excellent job of being a natural perfume while still having the refinement of 'normal' perfume. Please try this. If you have a garden and love your old-fashioned geraniums, I think you really will enjoy this. There are no member images of Vintage Naturals 2009 Geranium yet. Why not be the first?